Log in to your WHM control panel as root. Click on "Add a New IP Address". In the "IP(s) to add" text-box, enter the new IP(s). Type in the subnet mask. 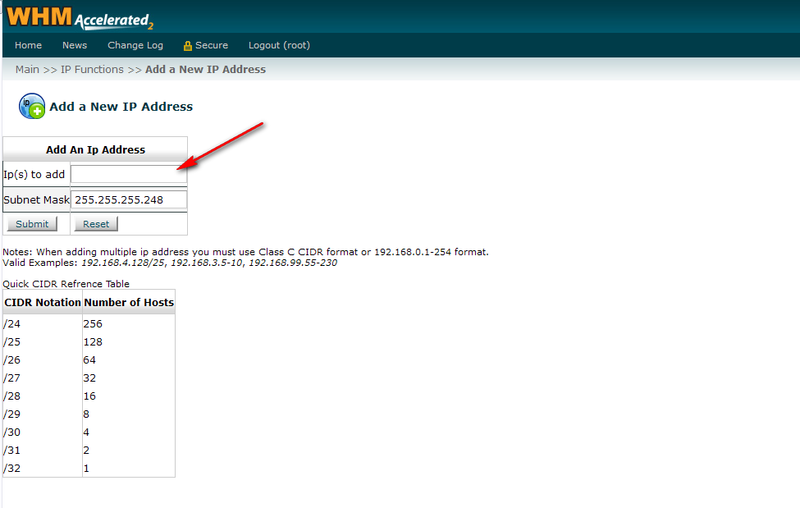 Click on "Submit" to confirm and add the IP address(es).